Today we’re going to share a way to get best-paid iOS apps for free without Jailbreaking. So let’s start this post which about how can you download iOS games and apps for your Apple devices like iPhones, iPod touch, and iPads, what’s your answer you every time purchase a new paid app or a game or you can download that app from external sources which the same app have high cost on App Store. I want to tell you something that most of the App Store users want to download highly cost paid app for free and due to this they will Jailbreak their iPhone devices (Jailbreak is term just like rooting in Android Smartphone). You already know that rooting can unlock your Android Smartphone then you will install custom ROM as you want. Same as in iOS Jailbreaking allows you to remove the Apple’s restrictions. 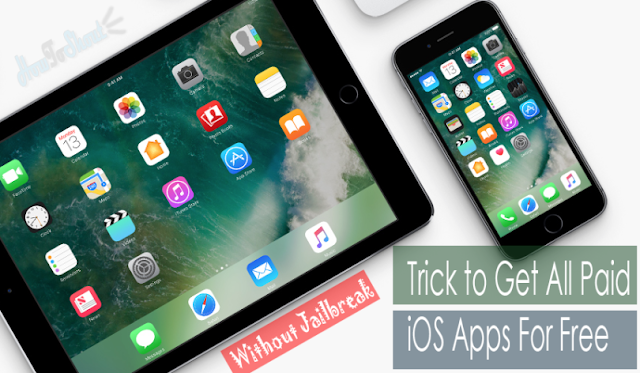 In simple words, Jailbreaking is the term that it removes the Apple’s default restriction & settings and it gives the users to access to root and the file system of your iOS devices. But there are some disadvantages of Jailbreak listed below. To get top paid apps for free for your iPhone device just follow below steps. Again this method is 100% working without Jailbreaking the iPhone, iPad or iPod touch so don’t worry about your device just follow below steps. First open this page on your iPhone, iPad or iPod touch using Safari browser then tap on the iOS Version. Now choose the Non-Jailbreak version then a popup box will appear then tap on the Install, now the APPVN app is going to install your iPhone device. Once the APPVN is installed, now you need to add this app as trusted from “settings“. Note:- The app’s default language is Vietnamese so we need to change the language to English. Change language Vietnamese to English:- Tap the menu icon(the 3 lines on the top-left corner, then at the bottom of the menu, tap on the “CIA DAT”, then tap on language finally select “English”. Now use the search option to get your favorite paid iOS apps for free on your iPhone device or iPad devices. Now Register the app using your Google, Facebook or Twitter account to sign up then you’ll be able to install any non-jailbreak paid iOS apps on your device. Once you download your favorite best-paid iOS app for free then you can uninstall the APPVN app from your device if you want and don’t worry about your download paid app it will never remove from your phone. So this all about how to get best or your favourite paid iOS apps for free and easily without Jailbreaking your iOS device, if you want more tips and tricks for your Windows, Android and iOS smartphone just stay connected with us and follow us on Google+ and subscribe us to get quick update from HowToShout and don’t forget to share this trick with your friends on Facebook or any of your favorite social network, after all Sharing is Caring.